helping traders avoid scam and trade FX and digital options safer. Here we take newbies through a structured training course, with online theory and live trading tests, all culminating in the Certified FX Analyst (CFXA) or Certified Binary Analyst (CBA) certificate. Members become professional traders, capable of growing their account on their own, whether in FX or Binary Options. With the rising interest towards Blockchain technology and Cryptocurrencies, we bring you a Blockchain eucation course designed for beginners and active crypto users alike. The course will introduce the student to the power of the Blockchain technology and the various important aspects of digital currencies. Our Dashboard is essential tool for all FX and Binary traders, offering advanced indicators, trade recommendations, price alerts, a major news indicator, volatility map and more. This is for intermediate to advanced traders. For users who have little time to learn to trade, Signal Hive offers a range of high quality, human and robotic trade recommendations 24 hours of the day. The Hive is a leading signals market place and community in FX and Binary Options. BSB is a friendly trading room with a sense of humor, good understanding of binary options and markets. They will help make you a better trader. For this price, its the best service i ever signed up for! This is the real deal and a must have for any binary options trader - no forced broker signups, ITM signals of between 55%-90%, excellent trader education, best price in the market by far. BSB represents outstanding value for money, and they will not force you to open a new account with a recommended broker in order to join – a very big thumbs up for a signal service. - Read More!!! Blue Sky Binary is great in terms of SIGNAL. It has a winning ratio of 65% to 85% and has good interactive wayof learning experienced specially for a newbie like me. I recommend BSB not only for signal but to learn how to trade! 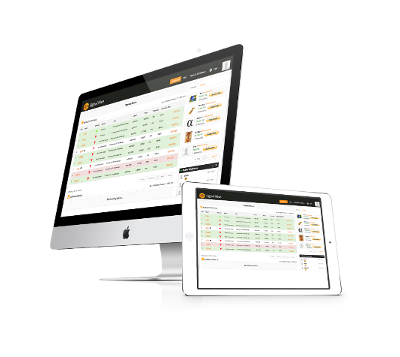 You do not find many trading rooms or signal providers who give you a free trial without the need of signing up with a specific broker or having any other instant commitments. Providing a free trial already shows the service's confidence in their own success. And they have proven themselves. I personally signed up to receive professional signals that would boost my success rate and I am very pleased by the results. In addition to that, I found that the team and the people here are extremely helpful and friendly. You can ask any trading related question from them and you will receive an answer and people share their experience. I have gotten much more out of the service than I expected and highly recommend this to any binary trader. First thing first, this testimony of mine is genuine and 100% from my experience with Blue Sky Binary. Even though I have joined only 2 days ago, the learning and support given by the trading room gave me an astonishing change. I never had this much confidence in taking a trade. I can even have 2nd opinion from the mentors of BSB if I have a trade idea. They are so open, transparent not forgetting nice and supportive! The atmosphere of the trading room is so full of joy. The trading group is not noisy, but we gave trade ideas that only brings much much more experience to all of us. I wish to continue and have success with BSB until I am very confident to do it myself. Truly a gem to find, with the 1 week free trial given, I can see a difference in my trading 'career' for the better within 2 days! This is the first signal service that I have actually decided to join and I don't think I will be looking anywhere else. If you want transparency, you have it. All the trades that are called out are kept track and not hidden. If the trade is a losing one, they don't hide it. Their posted results are 100% accurate. The best part of this group is the community of traders that has joined so far. Whether you want a second opinion on a trade that you want to take, or have any questions, no matter how stupid it may seem to you, they gladly answer and make you feel like a part of the community. There are even session that exists with traders giving some training on the market. The weekly webinars are great as Josh explains all the strategies that they use and gives updates on the research and development about upcoming indicators and signals. There is something for everyone, from new to trading to experience traders. I have learned so much since I started and I'm still learning every day. Highly recommended. Oh and they are not affiliated with any brokers which means the free week that you get when joining is actualy FREE. And you are welcomed to use any broker that you want. You don't see that with many signals providers. Education, signals, community, no affiliations = Great. The world's highest tech trading community! Transparency and attention to detail reverberates throughout our services. Our education takes complete newbies or those struggling in FX and binary options and gives them a tailored, structured education course lasting about 10 weeks, turning them into professional traders who have a keen eye for trade setups and proper risk management practices. Our senior traders (ST), also known as Trade Mentors inside, will determine your current level of knowledge and then based on this, tailor an education plan suiting your needs. The education occurs on a one-on-one basis via Skype, scheduled by you as per your availability, or on the Dashboard; our powerful, cutting-edge trading tool. There is no limit on the number of sessions you can schedule. Modules such as candlestick theory, bollinger theory, S/R mechanics and Core FX are taught to you over an 10 week period which includes live trading and feedback sessions to ensure you are becoming a smarter and better trader. The education is currently delivered in English, Dutch, Spanish and Greek. Our proprietary Core FX and binary options strategy has taken years to research and fine tune and offers the latest, cutting edge techniques to members, in order to allow them to grow their capital over time. To this end, our team of financial engineers has engineered the Dashboard, which gives our members trade recommendations, advanced indicators, news and price alerts, all based on the Core strategy. Along with this, members receive access to our Live Trading room where senior traders (ST) and other members discuss and confirm trade setups all day. Once you graduate, you are awarded the Certified FX Analyst (CFXA) or Certified Binary Analyst (CBA) certificate, depending on which path you chose, and have the option to remain with us, continue trading on your own successfully or become a signal provider on Signal Hive, our signals market place and community where you earn monthly and grow your subscriber base, taking control of your financial future. Note: The CBA and CFXA are simply proofs of completion of our academic material and not officially accredited by any 3rd party. Our latest course, the "Blockchain Academy", will introduce you to the world of digital currencies and the technology that is backing it. Based on our market analysis, cryptocurrencies are adopted all around the world faster than ever before and the right time to get involved is now! With our Blockchain course students will be taken through a series of topics which ultimately deliver a solid understanding of how Blockchain works and help the student realize the current and potential future uses of Blockchain tech. Risk Warning: FX or Binary Options trading may not be suitable for all investors as it carries a very high degree of risk to your capital. Trading such products is risky and you may lose all of your investment. Past performance is not indicative of future results. Poor fill rates, expiry times, market volatility and platform errors could result in losing trades. Before deciding to invest in binary options you should carefully consider your investment objectives, level of experience, and risk appetite. You should be aware of all the risks associated with foreign exchange and binary options trading, and seek advice from an independent financial advisor if you have any doubts.